Black Leaf Debuts at MCM Scotland Comic Con! 2013 has been a busy year! At Glasgow Comic Con back in July, I debuted a new issue of The Standard, and also launched two new titles with the first issues of And Then Emily Was Gone and Bad Sun. I’ll be bringing all of those books to MCM Scotland Comic Con this Saturday, 7th September, at the SECC, but I’ll also have a new addition to the lineup, making its worldwide premiere at the show. Black Leaf is a horror graphic novel I’ve been working on with artist extraordinaire Garry McLaughlin. It tells the story of Stuart Lockie, a 12-year-old boy from Glasgow who travels up to the Highlands with his family to care for his ailing grandfather, and while there he uncovers ancient, dark powers residing within the local woods. The versatile talents of Garry McLaughlin are on stunning display in this book, as he uses a grayscale ink wash technique to create a dark story-book vibe that permeates through the narrative. And Colin Bell brings the whole package together with his masterful lettering and production prowess. 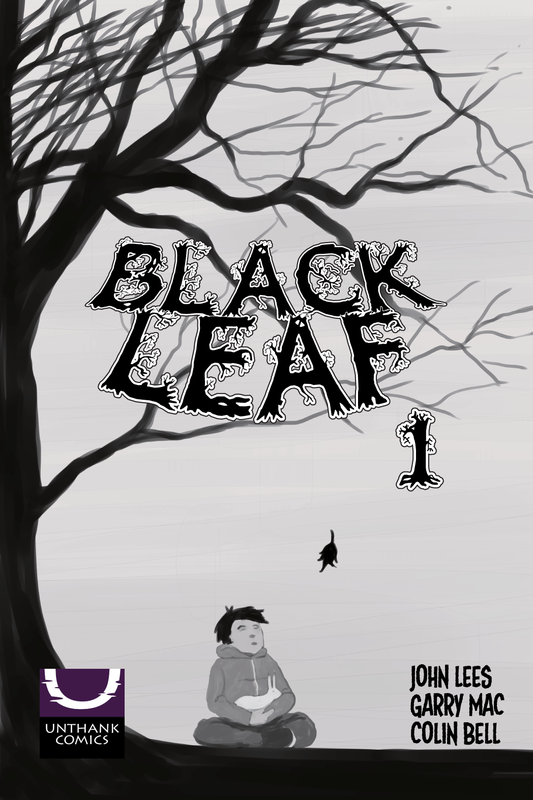 The final package is going to be 76-pages of story, but to build some buzz, the creative team decided to serialise Black Leaf exclusively for the convention market. This first installment, containing the first 22 pages of the graphic novel, is getting a very limited print run, so if you want to get a copy, you better get yourself to MCM this weekend! In the meantime, to whet your appetite, here’s a peek at the cover to Black Leaf #1. You can get your copy, as well as copies of all my other comics, by visiting me at the Comic Village at MCM Scotland Comic Con, Saturday 7th September, at the SECC.